this happened. | there's no place like gnome. This happened. Sara bought me pumpkin cream liqueur because, well, why not. We weren’t quite sure what to do with it. We thought it might be akin to Bailey’s, a la delicious in coffee. Negative. Never, ever, ever put pumpkin cream liqueur in coffee. We lost sixteen good ounces of coffee that way that we’ll never get back. This happened. 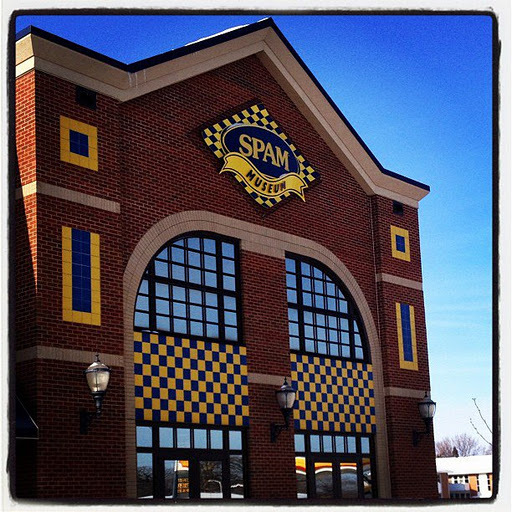 [photo credit: sjs] Did you know that Austin, MN is Spamtown, USA? Home of Hormel Foods and the SPAM museum. I hadn’t visited the famed museum yet; I was waiting for my Sara to arrive. 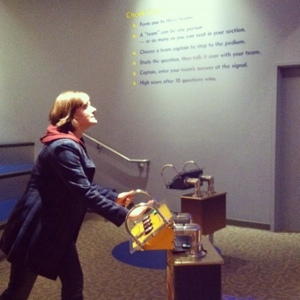 We easily spent two hours in the museum and spent a combined $30 in the SPAM gift shop. This happened. 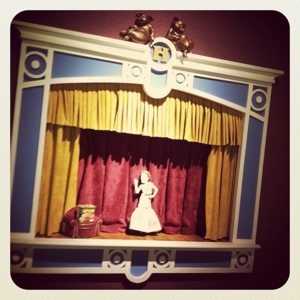 There was a puppet show AND a game show. [Not to mention a cooking show, packing demonstrations, a movie, and Monty Python references.] Come visit and we’ll visit the museum dedicated to the canned pork product. This happened. 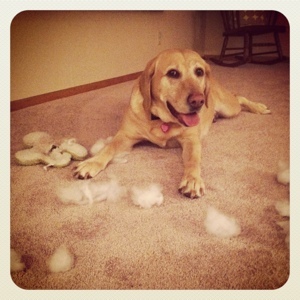 Mabel killed her baby. It was a massacre of stuffing. She looks pretty satisfied about the murder. It was fun having Sara as a visitor. We talked, roasted chickpeas [yummy], and ate chocolate frozen yogurt malts for supper. We created a theme room in an upstairs bedroom [come visit and you can have a tea party in the Room of Confusion] and shopped mainstreet Austin. It happened and it was awesome.